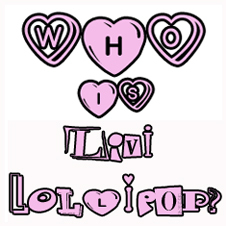 Livi Lollipop’s next tricky task to tackle was finding a new home. She ogled at oodles of options and perused through pages of possibilities, desperate to discover her dream dwelling. She circled the suggestions that sounded sensational and begun visiting them, one by-wonderful-one. 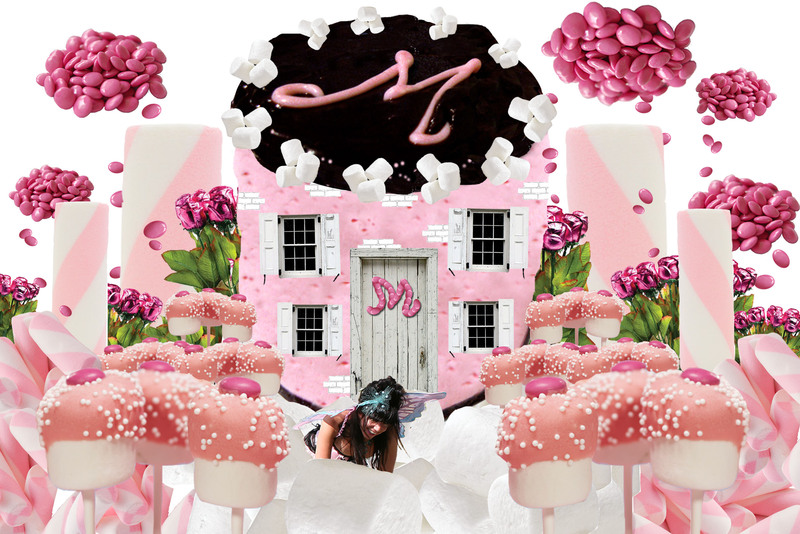 Marvelling at the majestic Marshmallow Manor, Livi licked her lips. Behind a crispy, caramelised frosted facade was an exquisite interior of plush pink carpets and wintery white walls. In the corner was a completely charming cherry chaise longe covered with countless cushions in cream and crimson. So comfy! There were tiny tables made from marshmallow toadstools, and a blissfully buoyant bed, bouncy like a balloon. It was so excessively spongy and squishy that Livi was swallowed up by its soothing softness. But Livi’s patent pumps were not suited to the mushy marshmallow mansion. Slowly the soles of her shoes sunk into the fluffy, foamy floors, and as she lifted up her legs, gooey sticky, stretchy strands glued her to the ground. Goodness! 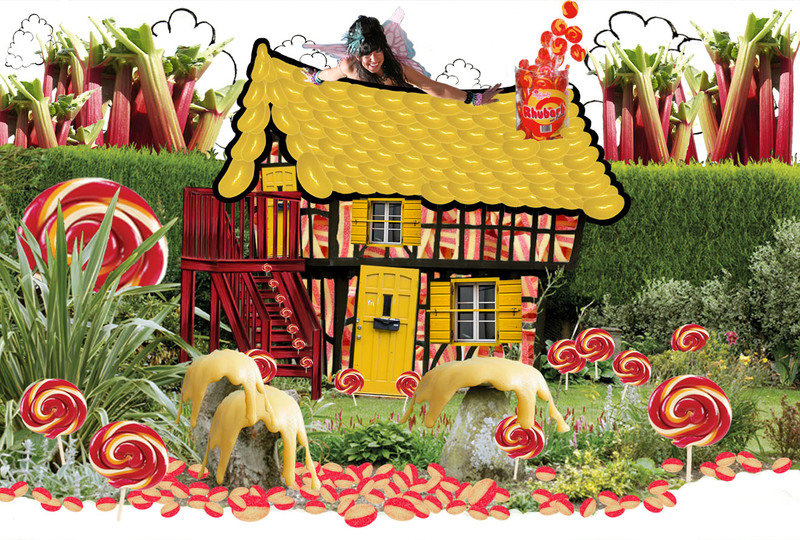 Enraptured by Rhubarb and Custard Cottage, Livi not-so-suavely salivated at its splendid stripes of raspberry red and yummy yellow. Custard curtains dripped delectably over weathered windows, tied tightly with ropes of rhubarb. Beams bejewelled with boiled sweets glistened garishly against a ceiling of sour scarlet and saffron strips, and a sugary chandelier sparkled spectacularly! Most fetching was a fantastic functioning fire place, its homely hearth blackened with the charcoal of many fires. 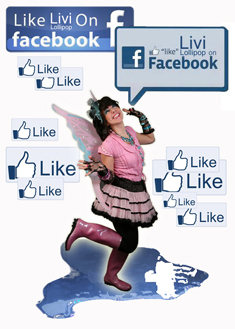 But Livi Lollipop’s wispy wings posed a perilous problem. The magical motion of them fluttering fervently threatened to flap the ferocious flames into a frenzy, thus daring disaster. Livi would therefore have to curb her craving to curl up on the couch accompanied by the comforting crackle of combustion. 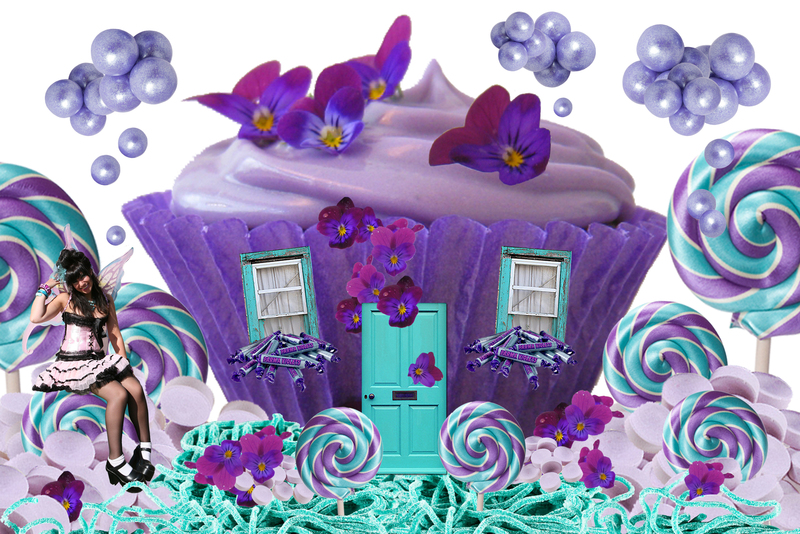 Next to view was the impressive Violet Villa, a colossal cupcake propped up precariously by polished pillars of lavender lollipops! Behind a door draped dramatically with voracious violet vines was a humungous hallway, out of which sprouted a spiral staircase with banisters of blueberry bubblegum balls. But these peculiar perfumed purple pebbles are not to everybody’s taste. Never was there a sweet that polarised people so powerfully! This curious confectionary tends to titillate the taste buds only of some but appal the palate of others, and as Livi wanted to escape contention she continued her hunt for a more harmonious home. Last to tick off on Livi’s trail was an illuminated treasure perched imperially at the top of Vanilla Avenue. Squinting against shimmering slivers of strawberry sunlight, Livi could barely decipher the paragon of perfection bathed in bubbles of opalescent light. But a sudden shift in shadows exposed several terrific towering turrets of crunchy caramel cornets and into view came the incredible Candyfloss Castle, by which Livi Lollipop was overcome. Streamers of skittles swayed melodiously on a whistling wind, rattling rainbows enticing her in. A boisterous breeze blew an ebullient Livi over the buttered almond Daim bar drawbridge (slightly hazardously held up by chocolate covered cherry chains) and into the miraculous castle she scampered. Livi ricocheted open-mouthed off candyfloss carpets, positively fizzing with euphoria! Never before had she witnessed such wonder. Her heart did a little dance, jazzing just gingerly in case this was too tremendous to be true. She tip-toed with trepidation over twinkling tiles of Turkish delight and ambled in awe along colourful corridors. Luxuriant lampshades embellished with liquorice laces and blackcurrant beading beamed brilliantly and a grandfather clock, carved meticulously from coconut ice the colour of carnations, ticked tranquilly. Jubilant at the ingenuity of this incomparable plethora of pink, Livi Lollipop struggled to still her thoughts and stand in silence to consult her trusty tummy. If ever she had a difficult decision to make, Livi would turn to her tummy to tell her the truth. If it growled and gurgled uglily she knew it signalled impending gloom, but if it whizzed and whirled in waves then scintillating satisfaction was a certainty. She took in her stupendous surroundings, squeezed her eyes tightly shut and felt the flutter of affirmative waves. 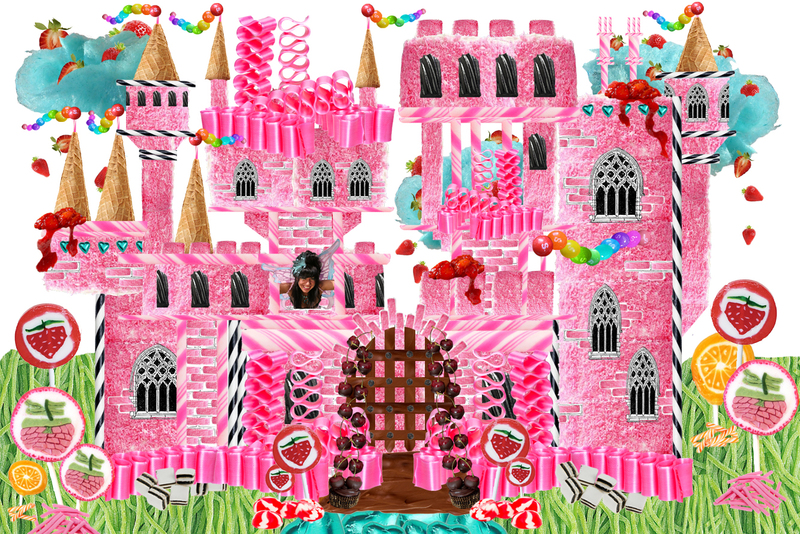 Candyfloss Castle had captured her heart and Livi knew she was home.